At Yorkdale Volkswagen we want to ensure that you are 100% satisfied with your certified pre-owned (CPO) vehicle purchase. So, if you find yourself having second thoughts about the CPO vehicle you chose, we will gladly offer you an exchange vehicle from our large inventory. 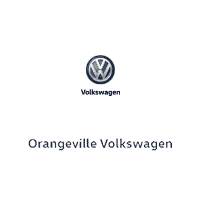 This program is exclusive to customers who purchase a CPO vehicle from Yorkdale Volkswagen. Ask us for details. The 30-day Exchange Program applies only to CPO vehicles. The Exchange Program is valid up to 30 days after delivery date; OR up to 1,000 kilometers after delivery. Any damage caused to the vehicle after delivery is the responsibility of the owner and must be repaired at the owner’s expense in order for the vehicle to be eligible for the Exchange Program. The Exchange Program allows for exchange only – no returns. Any accessories added to the vehicle will be removed at the owner’s expense. If the accessories cannot be removed, they are non-refundable. In order to exchange the vehicle, the owner must pay a $495 fee plus licensing. The replacement vehicle must be of equal or higher value to the vehicle being exchanged (with any added difference paid for by the customer). The replacement vehicle must be an in-stock vehicle. The replacement vehicle is not eligible for the Exchange Program.